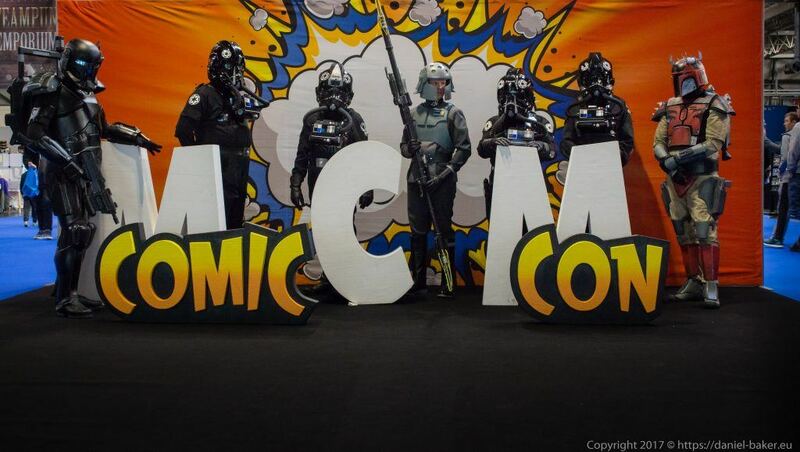 MCM Comiccon November 2017 was my first comiccon since hospital and I wasn’t sure if it would be too exhausting, or if I would feel ill, so I just booked one day and hoped for the best. 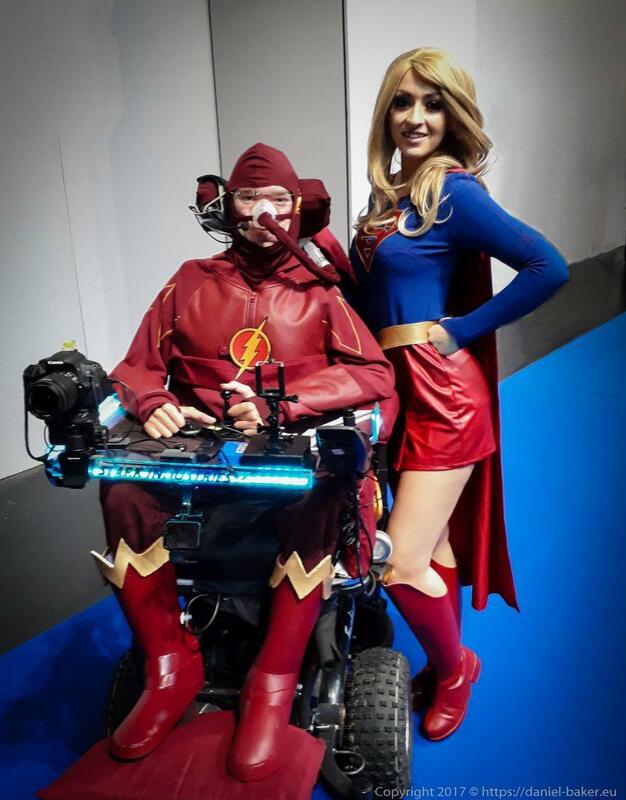 As usual there were last minute hiccups with my costume, I had decided to go as The Flash again as it’s one that’s pretty easy and very popular, but one thing I needed redoing was the boots, I hadn’t been happy with them for a while. Making boots for me isn’t as simple as for most cosplayers, I can’t get a normal boot on due to my ankles not bending much and anything too heavy is painful, they also need to be easily removed by others, so I’m pretty much limited to craft foam. Our first attempt this time was buying some cheap plaster of Paris from amazon, we’d make a mold of my legs then use this to shape the foam, this failed badly with the plaster refusing to set, either user error as we hadn’t done this before or the plaster of Paris bandages were low quality. The next attempt was moldind the foam around some Wellington boots, this didn’t work either with lots of creases and the shape not holding. We then went back to my original plan which was using a shoe pattern made from the boots, with the help of a shoe cover guide by EvilT Ted we managed some decent shaped boots, they have no sole or back for comfort and are attached by velcro. The finished product looks pretty good, they aren’t as shiny as I wanted as I had to rush and get cheap spray paint from Halfords, we used a red primer this time which did help but we only did about 15 coats of glue on the foam due to time constraints. The other thing that isn’t perfect is that some seams show, probably because we didn’t have decent foam or contact adhesive, next time will be even better. The convention day went fairly smoothly, there was a rush as someone didn’t get up on time and also my tray LED’s wouldn’t turn to orange due to a broken wire, but nothing too major. We arrived just before ten and were allowed straight in, considering we had priority tickets and were there early I was surprised how busy it was, I didn’t particularly like the layout this time, it was spread over three halls and things were stuck in random places. There were no A-List guests so I could relax a bit this time and not rush to photoshoots and talks, this was definitely a good thing at the moment as by about two o’clock I was feeling exhausted and a bit ill. 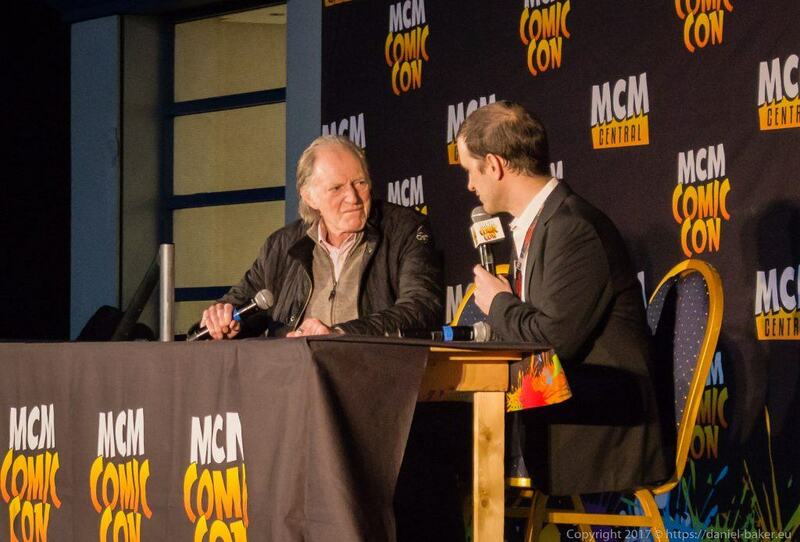 I attended two talks, one by Denise Crosby who I loved on Star Trek the next generation and a very entertaining talk by David Bradley who will play the first Doctor in this years Dr.Who Christmas special. The highlight of my day though was a talk by my friend Tabitha, we had spoken earlier in the week and she dressed as Supergirl to go with my Flash, sorry guys it may be my fault she didn’t wear the more skimpy Red Sonja cosplay. She spotted me before her talk and came straight over to say hello, it’s always a pleasure meeting Tabby in person, she’s so kind and friendly, unfortunately it’s very hard for people to hear my voice with the noise at these conventions so I’m not sure how much of me she heard. The talk was about the first time cosplayers had actually been used as models for comic book characters, it was very interesting and inspiring and all four of the cosplayers giving the talk were both entertaining and gorgeous. After the talk I managed to get a few photos with Tabby then went to rest for a few minutes, we then went to the freebie giveaway. where I got nothing :( , and afterwards headed home. It was a great day and being surrounded by fellow geeks who appreciate me has really helped my brain, I got to meet friends and actually had fun! I also proved to myself that I have recovered enough to do long days out, next year I should be ready for some London conventions, ail all goes well I’ll have a new Ironman costume. 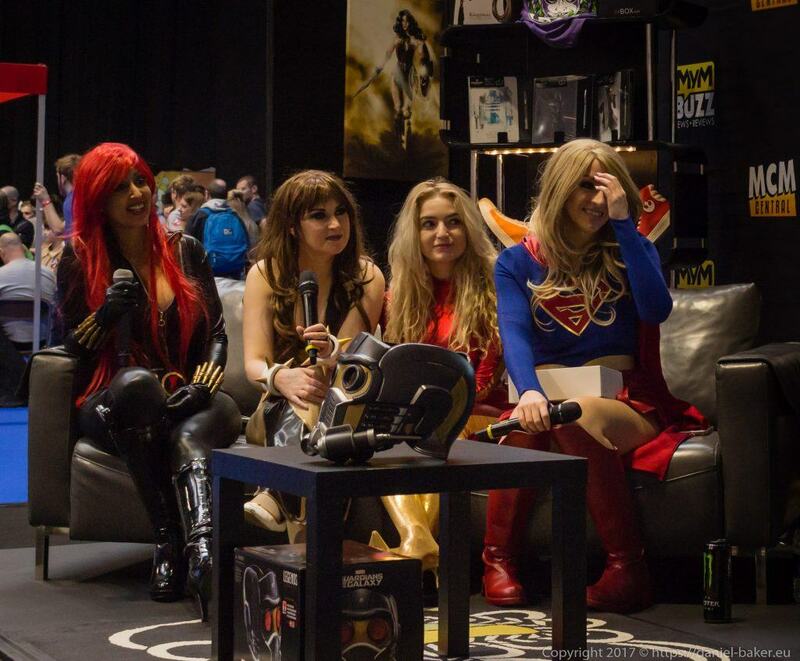 This entry was posted in Geeky and tagged #mcmBHM17, Comiccon, cosplay, Daniel Baker, MCM, supergirl, Tabitha Lyons, The Flash, timelapse. Bookmark the permalink. It’s great fun, I didn’t go for the first time until my late thirties, totally hooked now!